Find out about Maineville, Ohio. Get details on Maineville OH real estate, including neighborhoods, homes for sale, top-rated schools and more with the lifestyle resources and map based search on this web page. Contact an area expert at SoldBuyStone for more information. 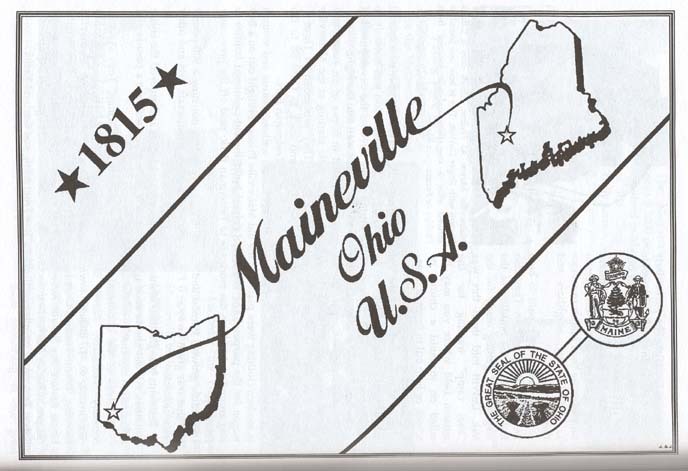 The Village of Maineville was incorporated on March 23, 1850. Maineville OH consists of a delightful, close knit community northeast of Cincinnati, amid the Miami Valley. It also consists of a semi-rural location and active, home market amid Warren County OH real estate, southeast of Dayton. The community hosts numerous, desirable residential features, including established and new, homes for sale in Maineville Ohio. Situated in the rolling countryside of Warren County, idyllic surroundings add volumes to the desirability of available homes. Outdoor recreational opportunities abound, as well, including hunting, fishing, water skiing, canoeing, horseback riding, hiking and biking. Removed and free of urban sprawl, the town hosts numerous, premier features in Maineville OH real estate. Many people value the country setting and tranquil community profile, where brand new homes can be found outside of the quaint downtown area. Real estate in the outlying areas attract people looking for homes with acreage, farms, and large estates. Historic and traditional homes appear nestled closer to the heart of town. Wherever their location and whatever their property type, available homes in the town offer something with every age group and family size in mind. They come complete with a positive, economic back drop, great school system and high standard of life. Homes for sale in Maineville Ohio reflect a unique blend of old and new amenities. Homes for sale range, from cozy bungalows and starter homes on generous lots, to large, two story homes and sprawling, multi-acre estates. Similarly, established or new subdivisions offer an environment suited to anyone’s fancy in quiet, tree-dappled and verdant neighborhoods. Maineville has a delightfully quaint and historic downtown. It takes visitors and patrons back in time, inviting them with dated features like street lamps, flower boxes and historic buildings. Shops, restaurants and more provide for a variety of engaging experiences. Maineville OH real estate provides for a variety of engaging experiences in gracious living, working and playing, with an accent on the country lifestyle. The countryside around town showcases not only many semi-rural homes, but also a beautiful preserve area, Caesar Creek State Park. The park includes Caesar Creek Lake, a magnet for water sports enthusiasts of all sorts. The Parks’s green spaces include hiking and horseback riding trails, camp sites and more. Also nearby and flowing right by town, the Little Miami River makes for plenty more opportunities in outdoor fun. Find out more. The championship course at TPC River’s Bend was once named by Arnold Palmer as the best he had ever seen. With meticulous, championship-quality standards maintained, it’s no wonder the club continues to be rated among the top in the state today. Host of the Chiquita Classic, a Web.com Tour event, the club is the only PGA TOUR property in all of Ohio. The course meanders through corridors of hardwoods, creeks and waterfalls and overlooks the historic Little Miami River. Designed with the utmost respect for the environment, TPC River’s Bend embraces the unique natural setting to make it unforgettable for all players. You can find more information at www.tpc.com/riversbend.